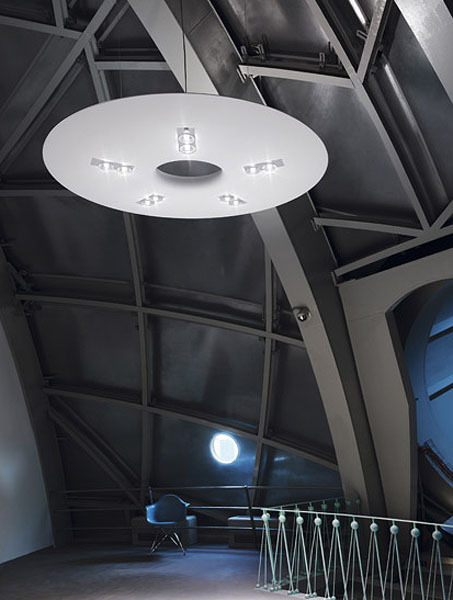 The YUU 200 pendant lamp was designed by Ingo Maurer and his Team for Ingo Maurer in Germany. A large white fiberglass ring suspended in mid air with cables has ten bulbs in it. The bulbs are embedded in the ring and give it a jeweled effect. A fresh and sophisticated pendant light.